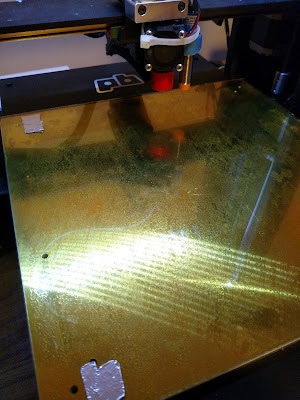 3D Printing with a PEI sheet. Experimenting with a PEI sheet. PLA works great. Still have ABS warping issues. PLA 60° No prep needed sticks perfectly. ABS 100° Minor warping and strong bond. ABS 80° with glue stick: no warping.